Week 10 around College Football ended pretty much as everyone expected it to. Oklahoma State steamrolled TCU, Alabama beatdown LSU, Michigan State lost to unranked Nebraska, and Arkansas converted a fourth a 25 against Ole Miss. Exactly as was predicted, just like college football always plays out. The first playoff rankings came out last week to much debate. The second version will come out this evening and with the medley of results from Saturday, including the loss of three undefeated teams, we will find that last week’s analysis has proven to be largely irrelevant. So with that said, let’s take a moment to analyze what may be in store for tonight’s College Football Playoff rankings release. Few teams will remain stationary after tonight. Clemson continues to win, adding another solid win against #16 Florida State. A win against a top-25 opponent is always impressive, especially when that top-25 opponent won it all two years ago and made it to the first playoffs last year. Similarly, Ohio State continues to win…somehow. They get their wins, which in the end is all that matters, but by not putting away their easier opponents, they leave the door open for one loss teams to look more impressive. 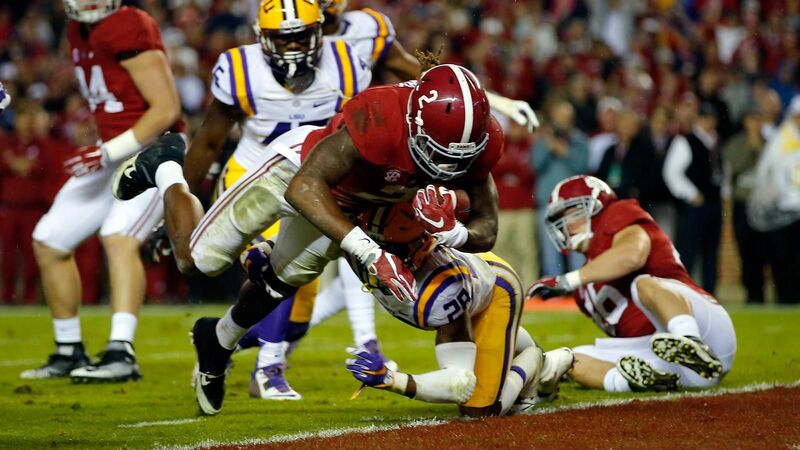 Like, let’s say, Alabama, who not only beat LSU to a pulp, but kept Heisman frontrunner Leonard Fournette to just 31 yards. Simply put, the Crimson Tide look like a better team than the Buckeyes, and they’ll leapfrog up to the number two spot. Who gets the fourth spot will be the most anticipated part of tonight’s reveal. Despite their number two ranking last week, LSU will drop out of the top four. If they had kept it close and lost by a field goal, it would be a different story. But unfortunately for the tigers, Notre Dame’s loss is better and a few undefeated teams remain, so could drop all the way to number 8. Notre Dame being on the bubble seems poised to move up a spot with their win at Pittsburgh. But their win wasn’t nearly as impressive as Oklahoma State’s embarrassment of TCU. In one game the Cowboys showed that they have the secret weapon that could be the difference maker in the BIG-12: a defense. They had four interceptions on Trevone Boykin who only had five going into the game. The next few weeks will prove TCU’s overrated status so this win could ultimately look normal by the end of the month, but it still remains the Horned Frogs only loss. Will it be enough to move them up ten spots? Unlikely. 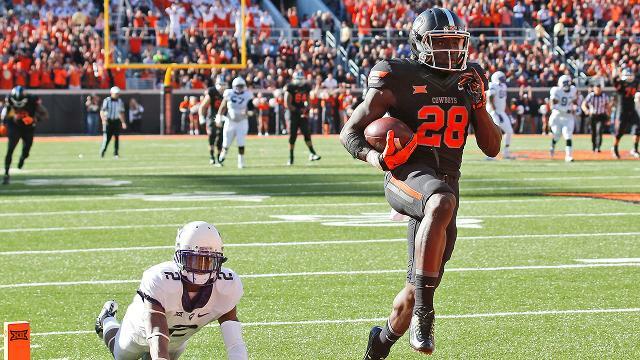 Baylor has a weak schedule and nowhere near as quality a win as Oklahoma State’s. Yet their non-conference schedule isn’t that much worse that the Cowboys’, and their offense is number four in the country. The Bears were ranked as the better undefeated in the first rankings (8 spots better) and one win won’t change that. Plenty of team’s won on Saturday, but just as important is looking at whose loss hurts the most. One could make the case for Memphis and Ole Miss, and Ole Miss’s case can be bolstered from the simply ridiculous loss against Arkansas, but neither team had a realistic chance at making it to the playoff, so their losses don’t carry as much weight. Sure, they could have played spoiler if they had won out, but it would have taken a lot for them to crack the top four. TCU and Michigan State on the other hand both had high hopes for a spot in the semifinals. After a miracle win against Michigan, the Spartans had a golden opportunity to cruise to their November matchup with Ohio State, but their loss to Nebraska (ridiculous as well, but still only good enough for second strangest loss this week) will be tough to overcome. Though TCU suffered their first loss as well, they at least did so to another undefeated team. Their remaining schedule is harder than Michigan State’s and they could suffer a second loss before the month is over. As we saw last year, a one loss BIG-12 team has a tough shot at making the playoffs without a conference championship game. Both teams need a lot to go right in order to make it back into playoff consideration, but based solely on the strength of their loss, TCU should be ranked higher by the end of tonight. « Previous Article HBT’s NFL Pulse Check: MIDSEASON AWARDS EDITION!!!!!!!!!! !